Well this is new to me editing my video clips. I've now identified the prey, its a Cypris,a freshwater Ostracod crustatian. "Like the copepods, the ostracods are very numerous in both freshwater and marine environments. There are 2000 living species. 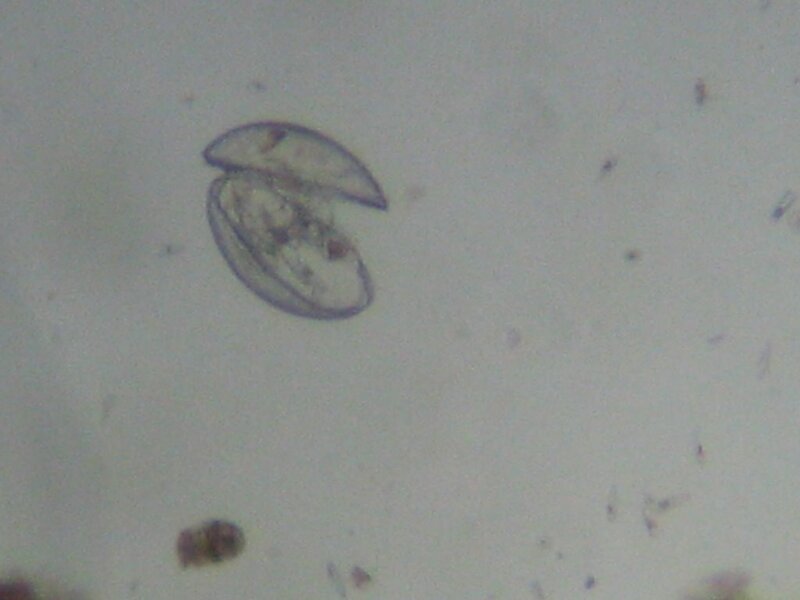 The larger marine species are also known as mussel shrimps or seed shrimps, but the freshwater ostracods are usually smaller than a millimetre. In freshwater ponds they are usually found scuttling around among the submerged plants and debris at the shallow edges, and less commonly in the open waters. They swim smoothly with appendages extended from between the two halves of their carapace. When disturbed, they withdraw their limbs and clamp the halves of their tiny shells tightly together".